Experience fourteen different cultures in one arena at this annual festival held at the sprawling Orange County Event and Fair Center. 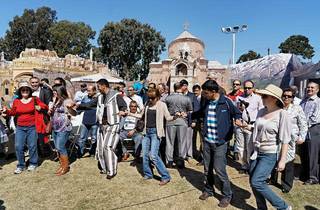 The four-day family-friendly fest showcases crafts, dancing, music and the cuisine of Asia Minor. Choose from 99 different food vendors including kebabs, gyros, baklava, dumplings, and the world famous, chewy-yet-smooth maras Turkish ice cream. 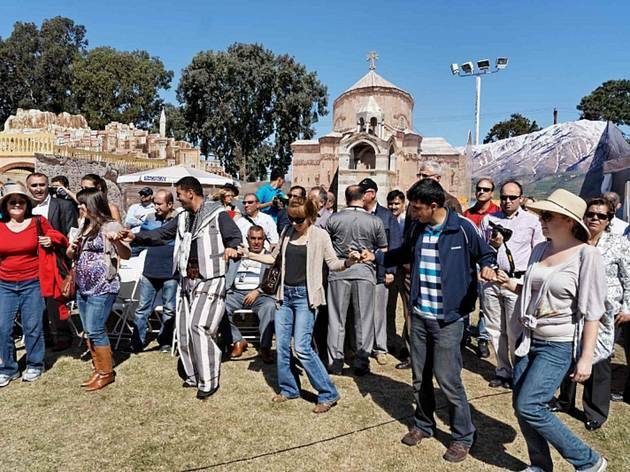 Travel to turkey and brush up on your history with 3D landmarks and even a replica of the Turkish Grand Bazaar, which runs through the festival grounds, showing off hand-made Anatolian crafts, gifts and jewelry.